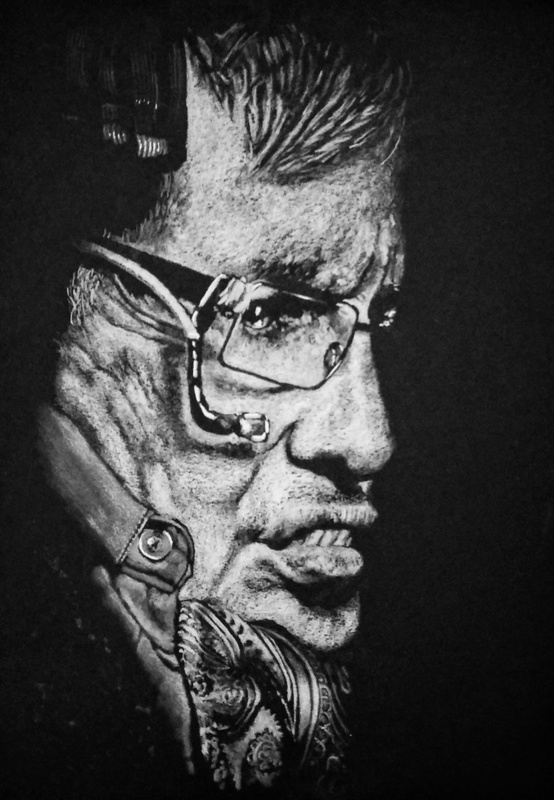 I wasn’t going to post this initially as it was just a mess about Sharpie sketch to accompany the portrait I drew of Stephen Hawking which recently sold. I like to add a little something extra when selling ‘originals’ as an extra thank you. The reason I’m posting is because it’s one of those strange phenomenons that’s been observed by many that post art up on social media – and also in personal interactions actually. A simple, scrappy, throwaway sketch will often have more ‘likes’ and positive comments than an artwork that has had a hundred hours poured into it. And so it is with this one, in less than 24 hours it’s rapidly liking it’s way up my personal top ten chart and could well hit the top spot. Snapshot of Instagram likes at 30th Nov 2018. Awesome! And yes, I’ve noticed this too. As it happens one of my most liked drawings on here is a cat – they truly are ‘like’ magnets.